Click "Upload", and BTO_RealZayComo will be in touch if they want to use your beats. You've successfully sent your beats to BTO_RealZayComo! 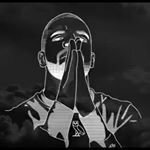 Want to know if BTO_RealZayComo downloads your beat? Sign up today!